Siri is fun until it could increase your monthly billy. 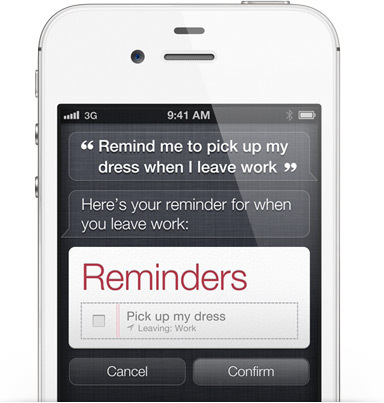 But how the heck could Siri increase my iPhone monthly bills? Easily but slowly. If you’re not aware, every time you use Siri to ask a question or command it has to connect to Apple’s servers. The responses from Siri are coming from Apple’s servers. So in order to use Siri the iPhone has to use data, either via WiFi or using data like 3G from the plan that it’s included from the carrier you’re using. So if you use Siri while connected through 3G it may affect your how much data you use. And AT&T and Verizon users, you get phucqed up if you go over your data cap on your plan. Luckily, Siri doesn’t uses much data to connect to Apple’s servers, according to a test from Jacqui Cheng at Ars Technica. Jacqui tested Siri using various questions to determined the amount of data it use and the effect it has on data. She found out that Siri could use up to 63KB per question. That’s no $hit. So Siri could have little to almost no affect on your data plan, depending on much you use it.